It is ok to reject other my gods, but to reject mine too is an affront on my person. “I don’t have to serve you” …. No, you don’t and you also don’t have to work here any longer, let’s go talk with your boss. Anyone that denies my child medical attention is going to court or suffer a summary judgement. Unless, of course, when state’s give those special exemptions for delusions they approve of. Unfortunately there seems to be several. Eh, the problem is that the numbers of such idiots is not decreasing, and the US has got a large portion of them! Why? good question. 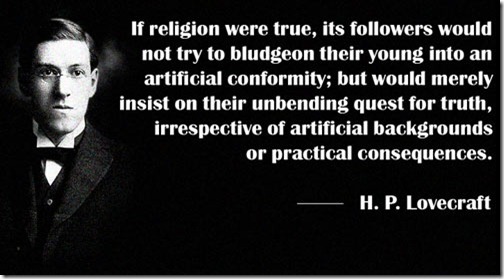 I’ve come to the conclusion that it may have to do with people still believing the nonsense that the original very religious colonists did, that freedom only applies to a select few. They’ve deluded themselves with that idea and the sick nonsense of the myth of American exceptionalism. A theory I have thought plausible is that religiosity increases not automatically with poverty, but uncertainty. That if one is in an area that is subject to crime, that does not have socialized medicine, that employers can discharge you at a whim when there is not much in the way of financial assistance available. Given the increases in the cost of needs, the dismantling of safety nets, etc this new theory would now encompass the statistical outlier of the US over the old poverty equals religion theory. I think that is a very astute observation. This is a great post, Val, and it hits on the thing we rarely talk about, but should: the threat we pose to theists because we won’t play along with their fantasy. This terrifies them. A lesson from history: be very careful of the hungry and/or terrified. It’s amazing how quickly the followers of “gentle Jesus, meek and mild” will abandon all pretense of civility when challenged to defend their position. speaking of that, Diana Lesperance has come back to my blog.